Disclosure: I was gifted items in return for an honest review. All opinions are my own. I was recently contacted by the lovely people at LOTD (Look of the Day) to see if I'd like to experience their website and try a few of their pieces. I said yes and I'm certainly glad that I did. The first thing that I really loved were their prices. The prices are so reasonable and the clothes are fantastic! The wide variety of clothing is amazing and so stylish, therefore it was hard to pick only a handful of my favourite pieces. I could've easily have picked dozens of other things because everything was calling my name! Here are my picks. LOTD has so many lovely tops. 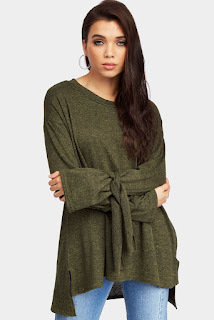 One of my favourites is this khaki oversized top with tie cuff detail. It also comes in grey and black. The sizes available are S/M and M/L. This top is generously cut, so it fits a variety of body types and is so comfortable to wear. I love it because it's amazingly comfortable and still so stylish. I really like the tie cuff detail because it adds that bit of extra flair to the look of the garment. It's perfect to wear when you're out and about running errands and you want to look pulled together while going about your day. This two choker necklace has a velvet finish with a tassel detail on the bottom necklace. It's adjustable and is a great accent along the neckline. I love the simple yet elegant style of this piece. This two row gold necklace with peach thread tassel detail and gold circle detail is a fun piece to add to your wardrobe. 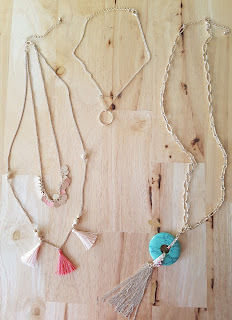 I love the two row design which makes wearing the multiple necklace style that much easier to pull off. 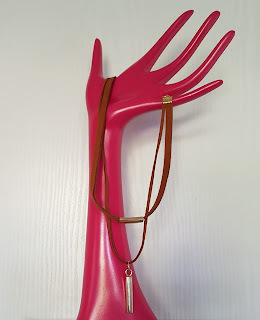 It has a nice long length that can compliment so many outfits. This thin choker necklace with an adjustable clasp features a triangle and circular drop down detail. I love the delicate look of this necklace. 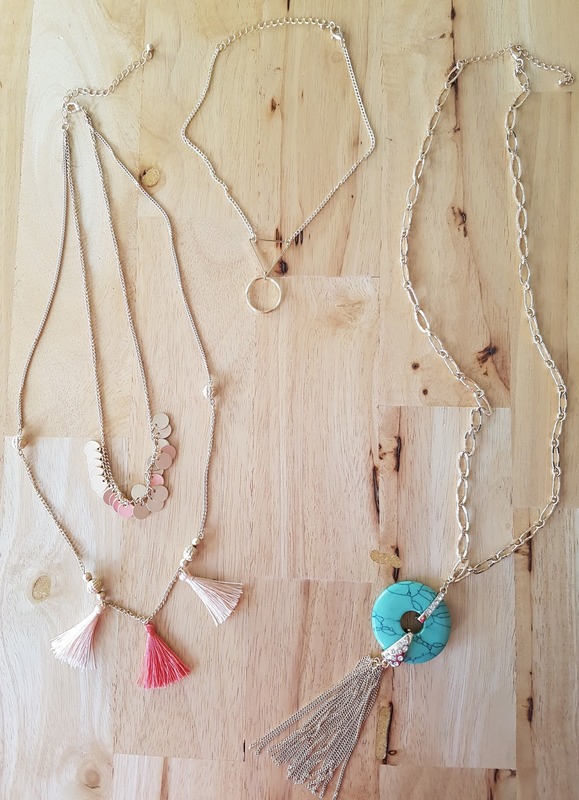 The gold necklace with the turquoise disc and gold tassel drop is another favourite of mine. It has an adjustable back and I really like the larger open link design chain. This is a statement piece that can be worn to dress up, but it can also be worn to give a more casual look that extra bit of flair. Also I love blue or anything in that colour family, so I'll be wearing this necklace a lot. The last items that I received were the black side zip riding boots. I love them! These knee-length riding boots have a small heel and flat sole, side zip design and are made of a mix of PU (polyurethane) and fabric materials. 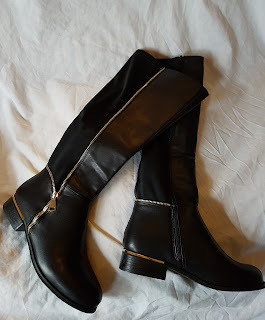 I adore these boots because of their sleek design and they are so comfortable to wear. Have a look for yourself. You'll be glad that you did!